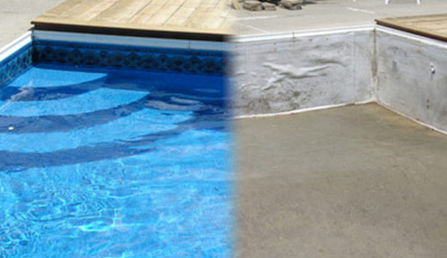 Transform your pool to make your backyard a showplace! 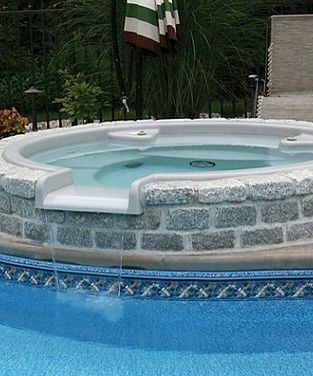 Enhance your pool with a new liner, adding steps or even a new swim out spa and more. 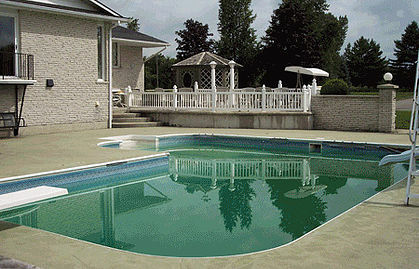 Our experienced teams can handle all types of major renovations for both liner pools and concrete pools. 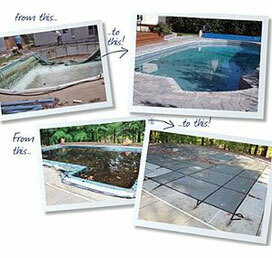 Contact us to have one of our pool renovation experts provide a free consultation. Nothing can enhance the look and enjoyment of a pool like a spectacular entranceway. We offer a wide range of unique designs, including our exclusive Step ‘N Lounge – the first thermoplastic step with built-in spa seating – and our Wedding Cake Step, a fresh style combined with the uninterrupted beauty of the vinyl liner. More than an entrance point, the stair system you select is an integral part of the swimming experience: It can be a gathering or lounge spot, a tanning bed, or a practice area for your kids as they develop their swimming skills, just to name a few. We have the most aesthetically pleasing steps on the market, with a vast number of options, from wedding cake stairs and bench combinations to cuddle coves to sun decks and so much more! Nothing changes the appearance of your backyard like a new liner. Choose a traditional pattern or one of our exotic new tiles. There are so many colors to pick from, you can match your decking, blend in with new landscaping, or coordinate with your home. 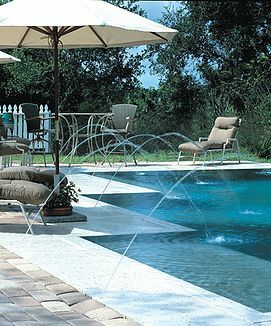 Visit our Vinyl Visualizer to see what the hottest new patterns look like in the pool. 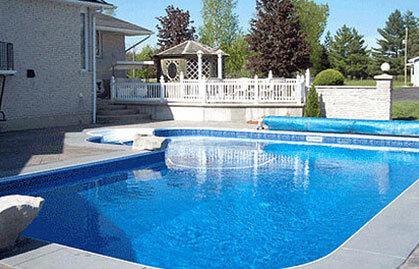 A spa is a healthy and invigorating addition to your Pool experience. Whether it’s installed or a portable unit, our spas offer you a soothing, relaxing, and therapeutic alternative to swimming. 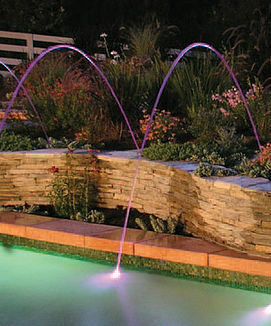 The right lighting and sounds can set a mood in the pool area. 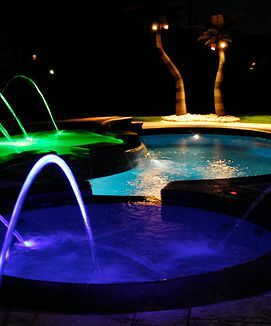 For that dramatic effect, low profile and underwater lights are perfect options that will make others say, “Ooh” and “Ah” the instant they see your pool.